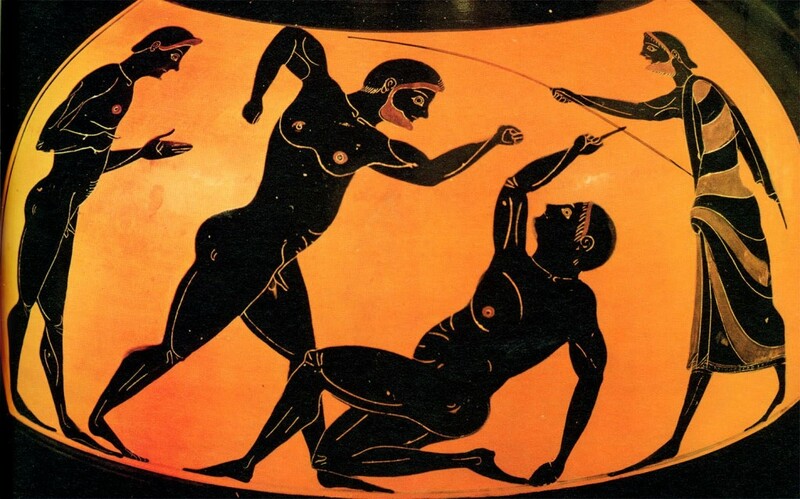 Greece is made up of lots of islands, reaching towards other countries, which had a big influence on Ancient Greek art! In Ancient times, these islands were on important trade routes which meant Greek artists could get hold of lots of useful materials to help them create colourful art and frescoes! Frescoes are pictures painted onto wet plaster. 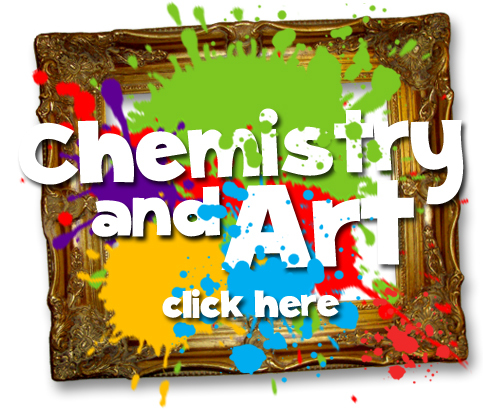 As the plaster dries, the paint is absorbed by the plaster and chemical changes in it make the colour stick – it’s chemistry that makes it a cool way to create a picture that really lasts! 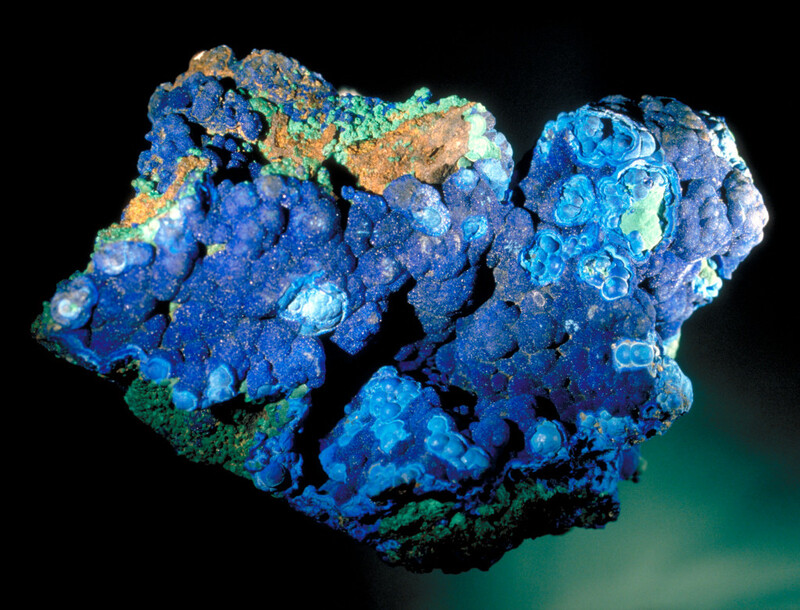 Men and women would get all sorts of colours from passing traders, including azurite and Egyptian Blue for blues, haematite and iron oxide for reds, and limestone for white. 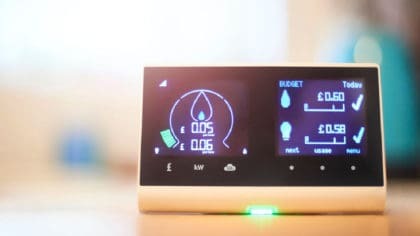 However, it’s a lot cheaper to use minerals from home – although this does mean you’re stuck with the colours you can get from the land around you! For the Ancient Greeks, the most common colours around them were white, black, orangey brown and yellow. That’s why these are the colours you more commonly find in Greek art! Ancient Greek art is probably most well-known for its painted pots – that’s because they’ve remained pretty much intact for thousands of years! All sorts of luxurious pots were being made at this time and many were painted with decorations of cool mythical creatures and animals! To make them, clay from the earth is heated and the heat causes the molecules to become hardened. 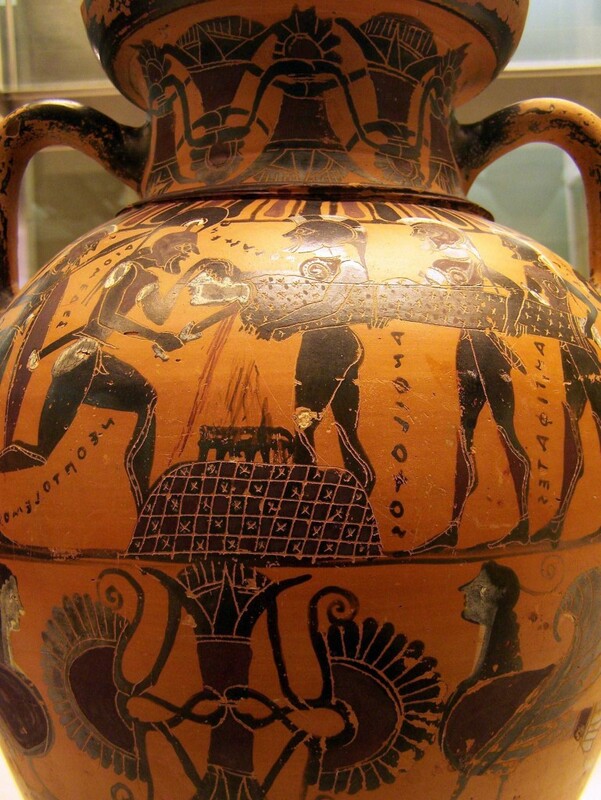 You might be wondering why the Greek pottery you’ll find in a museum today has just two colours – red and black. That’s because during this period there were two common techniques used for vase painting. An early method was to paint figures on to vases with liquid clay and then heat them up in a kiln – that’s a special type of oven – so the clay figures would turn a glossy black. 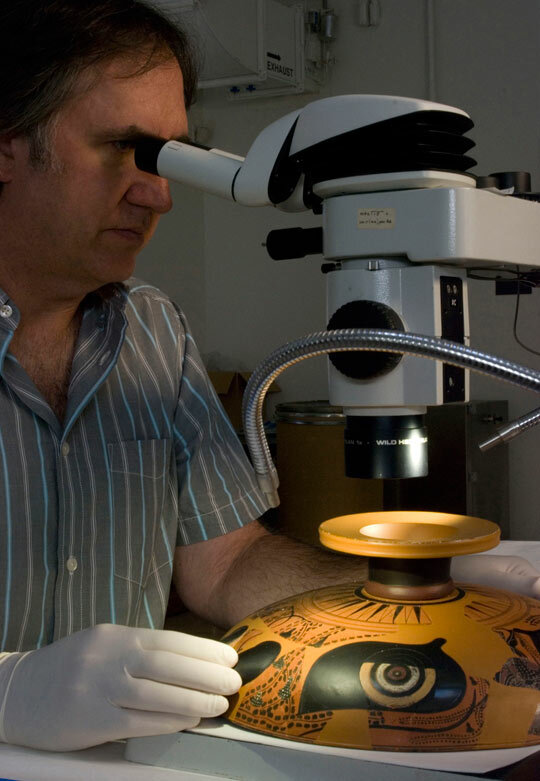 Another method that the Greeks used was to scratch their designs into pots to reveal the red body of the vase underneath, making the images really stand out! It’s a bit like how your food changes colour when it is cooked – like a steak, brown on the outside but redder in the middle. 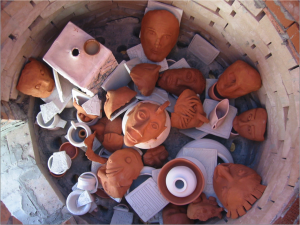 The Greeks discovered that it wasn’t just cooking time that made a difference to the colour but that varying the amount of air in a kiln also had an effect! That’s because the oxygen in air causes some strange chemical changes in the clay! 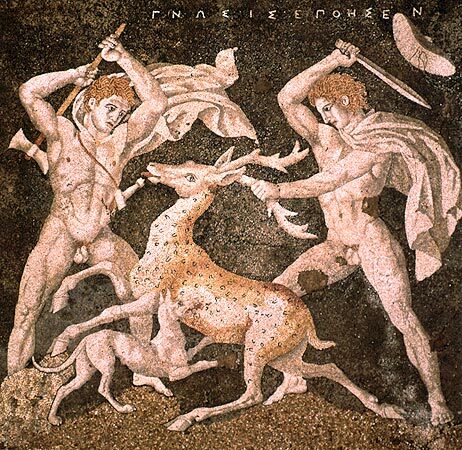 Mosaics were invented by the Ancient Greeks. 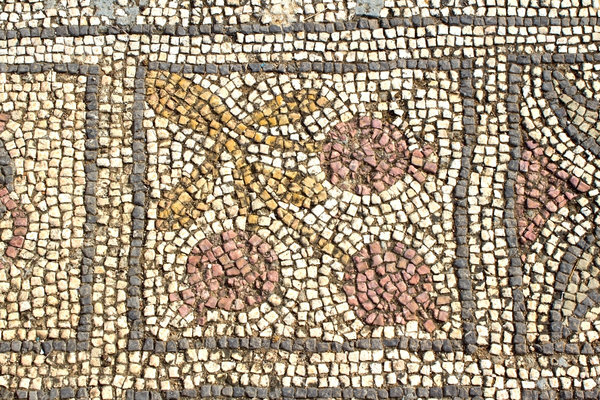 The Greeks discovered that placing tiny pebbles and pieces of glass and clay in tessellating patterns looked really cool and made a great flooring solution! Tessellating means the tiles go together without any gaps – just like a big jigsaw! You need to make sure you stick them together though! The Greeks experimented and found that mixing a material called lime with volcanic ash and then wetting this substance made a type of cement that was great for this job. It’s a chemical reaction that causes the cement to change its properties and is so tough that it’s meant lots of mosaics are still in peak condition today! Like other ancient cultures, they might not have understood the exact chemical processes but by getting to know the properties of the materials and experimenting, they managed to produce the amazing art we can still see to this day in museums. The only difference is that the colours have changed quite a bit over the last two thousands years. That’s the effect of time, heat and light on the pigments in the paint. Scientists today have access to really powerful microscopes and can identify colours from traces of minerals found, showing us that these statues and mosaics would have been much more colourful when they were first made. Let’s go to another ancient civilisation – Ancient Rome!